Smartwatches aren’t tough to choose between, but they are slightly tougher than choosing an ordinary watch. Because you’re not only concerned with the aesthetic, the comfort of the band, and the simplicity of the buckle. You’re also looking at compatibility with your smartphone, and its broader set of features. But interestingly, the people who make the best smartphones won’t necessarily make the best watches. It can be challenging to find equipment that can be used inside and outside of different product ecosystems, especially if it’s expected to stand on its own when compared to mainstream alternatives. 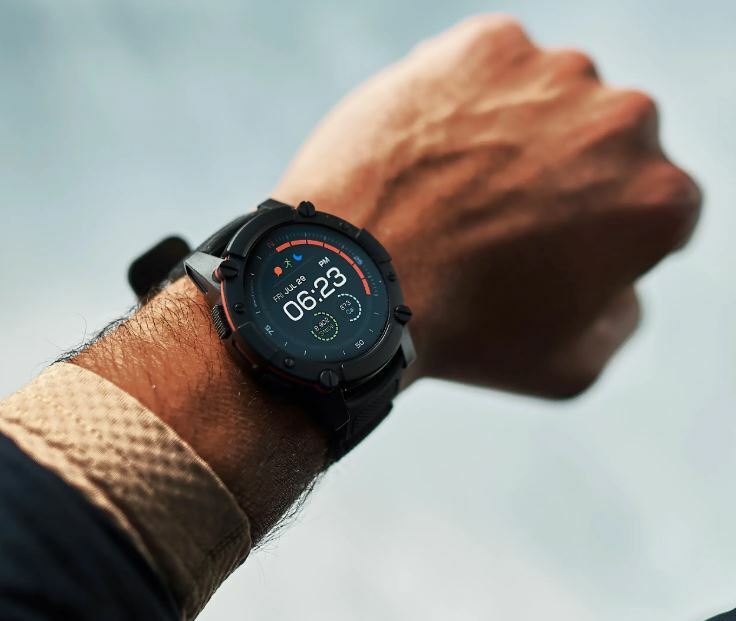 The Smartwatch MATRIX PowerWatch 2 launched from an enormously successful crowdfunding campaign on Indiegogo. 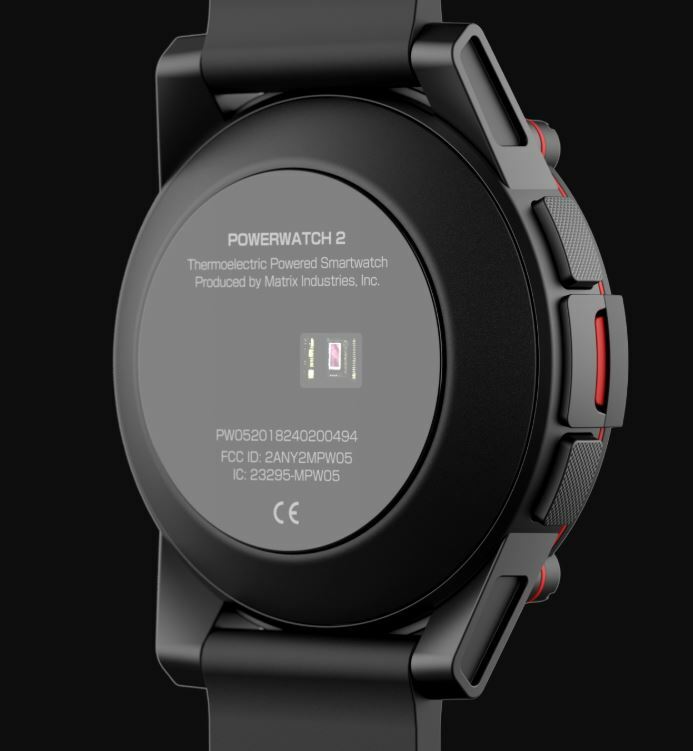 It seems like every project on crowdfunding sites has some kind of special angle they’re trying to pitch, and the PowerWatch 2 isn’t an exception to that general rule. It’s supposed to be the most powerful smartwatch of this particular type. Compared to the previous PowerWatch, the PowerWatch 2 includes a number of new features. 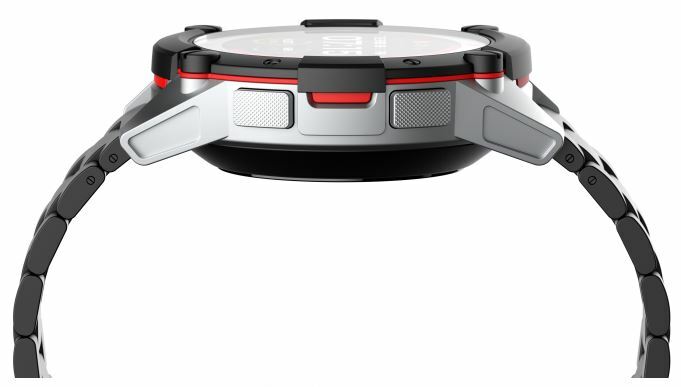 Most notably, a heart rate monitor, a full color display, and a GPS tracking module. Like the classic PowerWatch, the revised version supports thermoelectric and solar technologies to help create power for the watch. That allows the PowerWatch 2 to meet or exceed most of the kind of capabilities you’d expect from any top-tier smartwatch. But what really differentiates the PowerWatch 2 is how it’s charged, or rather, how you don’t have to charge it. The original PowerWatch was a bit of a glass cannon. Yes, it was powerful. But it was also quite fragile. 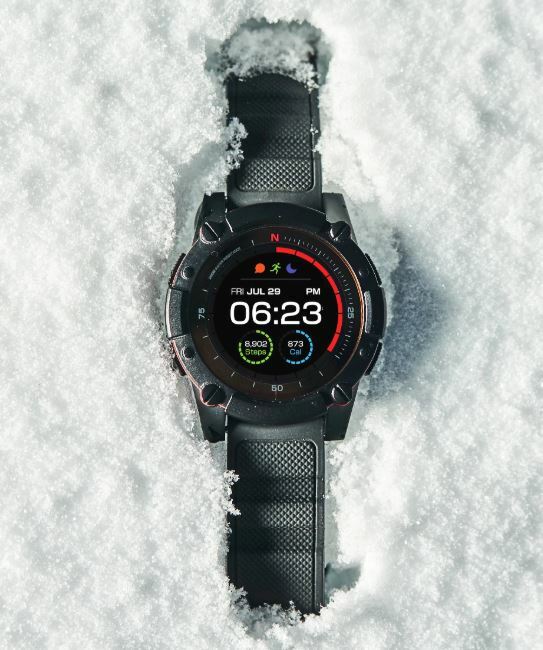 By contrast, the PowerWatch 2 was built to be generally rugged. And that ruggedness is a lot more obvious from the outward visual presentation of the watch. The PowerWatch 2 was constructed to be water resistant up to about 200 meters of depth. That’s about four times the water resistance of the previous PowerWatch, though for most people it really just means you don’t have to worry about the rain. There aren’t comparable protections for shock proofing, but it shouldn’t struggle to survive a couple of spills. The anodized aluminum case measures about 1.8” across. The silver steel was sand blasted for a professional look, and for the kind of smoothness associated with sand blasted steel. With respect to aesthetics, there are actually a couple different versions of the PowerWatch 2, but they all share essentially the same design. Putting aside appearances, metallic frames are really the way to go. The difference in protection isn’t night and day, it certainly feels better on your wrist. Speaking of the wrist, the PowerWatch 2 wraps around your wrist with the assistance of a silicone rubber strap. It’s about as tough as the watch itself, and it’s made from a hypo-allergenic material. Though with respect to comfort, there’s really nothing special about it. There are actually multiple versions of the PowerWatch 2. 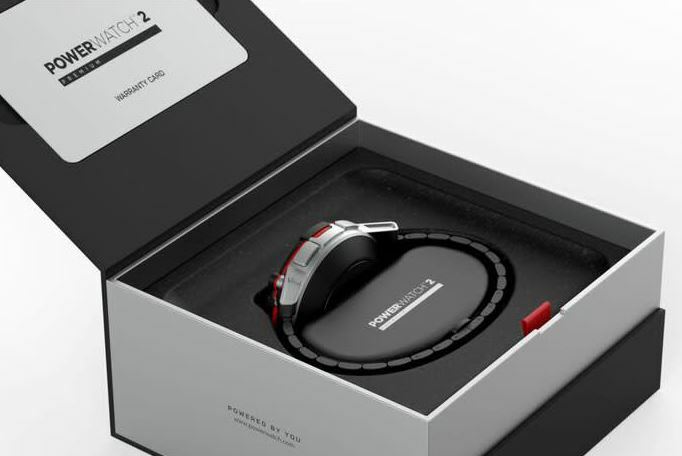 The premium edition includes a silver case and stainless steel strap, which clasps around the wrist with the assistance of a quick-release butterfly buckle. It looks a lot sharper than the somewhat muted classic version, but style aside, both are about equally sturdy, and both have the same essential capabilities. Though the stainless steel strap and butterfly buckle do make taking the PowerWatch on or off much easier. The PowerWatch 2 draws energy from a combination of two sources, solar and thermoelectric. The thermoelectric is really doing most of the work, though the solar cells come in handy when you step outside. Because outdoor conditions mean you’ll need higher levels of brightness for the display. That’s when the solar cells really come in handy. The thermoelectric cells are powered by technology that’s basically copying what was used to power the Mars Rover. They basically took the Rover’s power cells and combined them with a small DC-DC converter to help boost voltage. Suddenly the PowerWatch was born. In order to track the battery’s performance, the PowerWatch 2 actually includes a power meter. It gives you an overview of the kind of charge the watch is able to draw from your body, and the amount it’s pulling from the sun. The built-in heart rate monitoring feature can be turned off to extend the lifespan of your battery. If you sit down and flick through the different screens on your watch, and do absolutely nothing else, you can gradually wear down the battery. But it really takes an intentional effort to reach that point. For more typical use cases, where you’re only checking the watch intermittently, you won’t even need the solar energy. Thermoelectric energy alone ought to be enough to keep this watch going through regular use. For actually using the display of the smartwatch, you’ll be pleased to find a 1.22” color LCD. That doesn’t sound like an enormous screen, but relative to the face of a watch, it’s about as large as you want to stretch these screens. That 1.22” space is filled out with a 240 x 240-pixel resolution, which works out to about 280 pixels per inch. You generally see this kind of pixel count on something like a 7” tablet. To the human eye, it’s basically UHD quality, which is how the PowerWatch 2 is capable of delivering crisp clarity with small text. It can be tough to make things readable on a small display, but MATRIX pulls it off quite well. The full color display looks great. The high contrast between greens and yellows in particular is really captivating. Adding colors to the already high resolution display isn’t only about making things look pretty, it also makes everything a bit easier to identify. Unfortunately, there isn’t any means of significantly affecting which colors are used. With very little augmentation, this watch could be made far more friendly to people with partial colorblindness. To toggle through the display’s various windows, you use four analogue buttons, one on each corner of the PowerWatch 2. The top row of buttons is used to help move between all the information on the PowerWatch 2. The bottom row is used to help actually interact with the display, or otherwise make changes to the watch. For instance, if you wanted to set the time, you’d be working with the bottom row of buttons. Clearly, there’s a bit of a learning curve involved with this. But it’s actually pretty accessible, certainly on par with similarly equipped smartwatches. 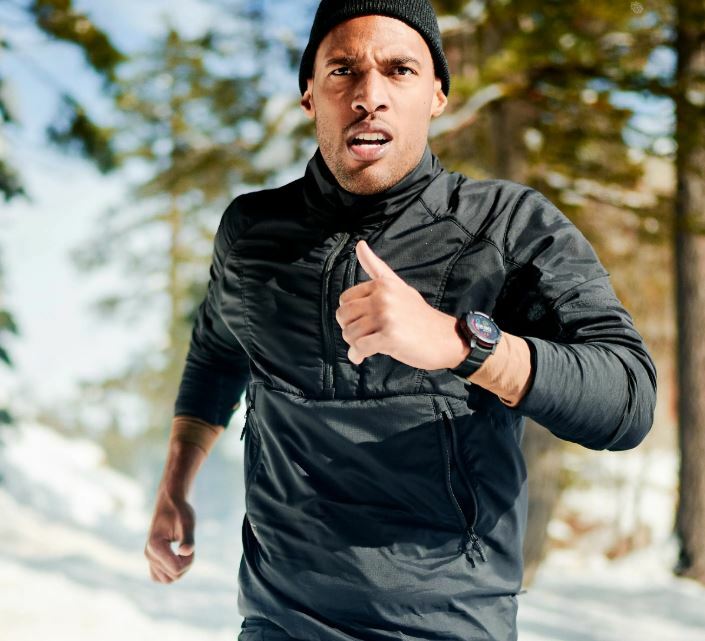 With a few clicks, the front display will give you the time, information about your previous run, data about your heart rate over the course of an activity, your total number of steps, and your calorie count. Though to get detailed data, you need to use the analogue buttons on either side of the PowerWatch 2. Perhaps more importantly, the results you get are highly accurate because this equipment isn’t based on a bunch of entry-level sensors. It’s got basically everything you’d expect to find inside of a smartphone, including a pretty impressive GPS function which can be used to track your runs. Speaking of accuracy, it’s quickly worth noting the calorie counter can be enormously accurate, too. That’s because the counter allows you to input your own personal health data, which lets the software create a more accurate picture of the amount of calories you’re really burning. Lacking that kind of customization can give you some terribly inaccurate predictions about your activity. But you don’t actually have to use any of those analogue buttons. In fact, you don’t have to do anything more than wear the watch. Because the Matrix PowerWatch 2 is backed with a pair of apps for iOS and Android. And they allow you to access all the data that’s been collected by your PowerWatch. The app is basically for people who don’t want to spend time poking around on the tiny screen of a smartwatch. Though in a more practical sense, swapping over to the app can actually save you some power compared to making the watch display things for you. If you’re an active indoor user, you might want to consider using the app more than the watch when possible. Similar to mainstream competitors, the PowerWatch 2 is capable of delivering advanced pushed notifications. And it has integrated support for a variety of health and fitness platforms. Notably among them, Google Fit and Apply HealthKit. Who Should Choose the MATRIX PowerWatch 2? When you’re looking at typical smart-watch designs, you almost invariably end up having to recharge via USB. Wireless chargers are also reasonably convenient. But you can’t beat never having to recharge at all. Still, the Matrix PowerWatch 2 is a tough sell. Anyone who decides to choose a PowerWatch 2 already knows they can get an Apple smartwatch for about the same price. When it comes to its broader feature set, the Matrix PowerWatch 2 doesn’t provide anything that’s truly unique. The Apple Watch Series 4 uses an equally attractive color display, an equally adjustable heartrate monitor, and delivers about the same level of detail with the rest of your health data. The PowerWatch 2 has slightly better waterproofing, but that’s not much to go on. What really makes the PowerWatch 2 special is the way it’s powered. It’s the fact you never have to take your watch off so it can recharge. It’s never having to worry about whether or not you have a USB cable to recharge your stuff. And it doesn’t hurt that this technology is literally the stuff responsible for helping provide power during exploration into outer space. Very cool. If you see the appeal of never having to charge your smartwatch, then you’re certain to see the appeal of the PowerWatch 2. 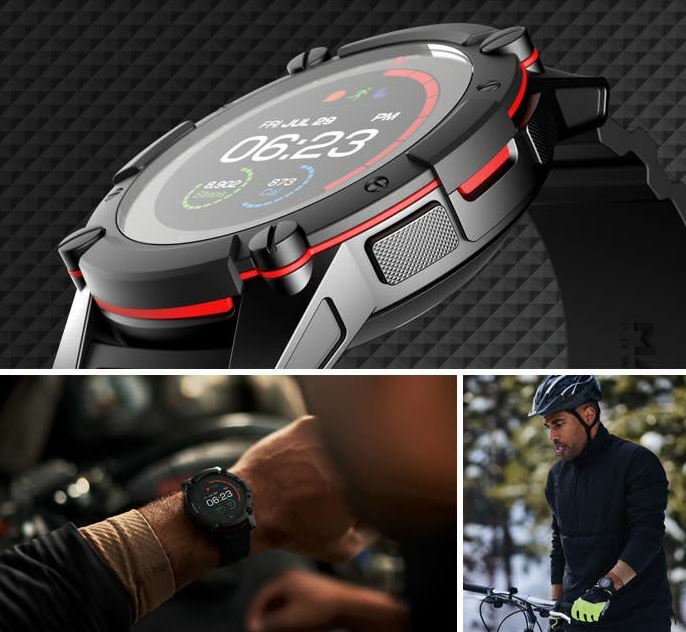 Though it has a number of features which are beneficial to athletes, it’s really more of a general purpose smartwatch suitable to almost anyone who lives an active lifestyle.